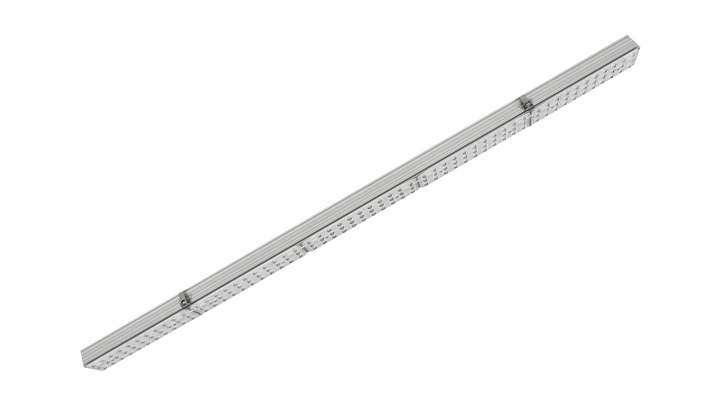 A linear luminaire that is extremely easy to install and provides high efficiency (171 lm/W). Flexible in application, Lenyk N IL comes with a narrower, compact and minimalist housing and meets the optimum lighting requirements in the industrial or retail sectors. A suspended or surface-mounted luminaire that incorporates both high functionality and efficiency.